I-95 is closed in much of South Carolina at the present time. 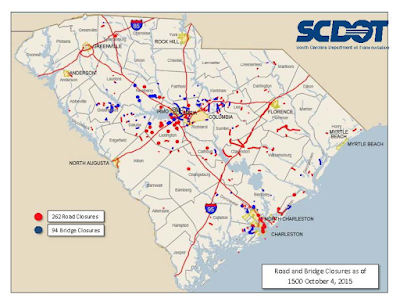 In all, there are nearly 400 closures. 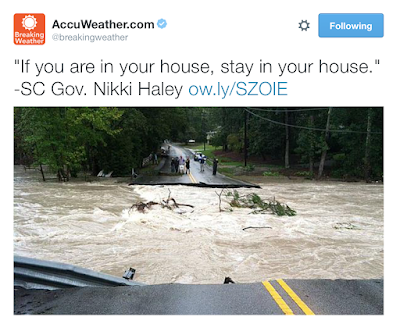 Whatever you do, do not try to cross flooded areas by foot or by car. I also urge you not to try to travel any distance at night during this period of rapidly rising waters. In Columbia, a curfew begins at 6pm.